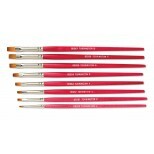 Finest quality tapered synthetic red sable flat artist brushes. 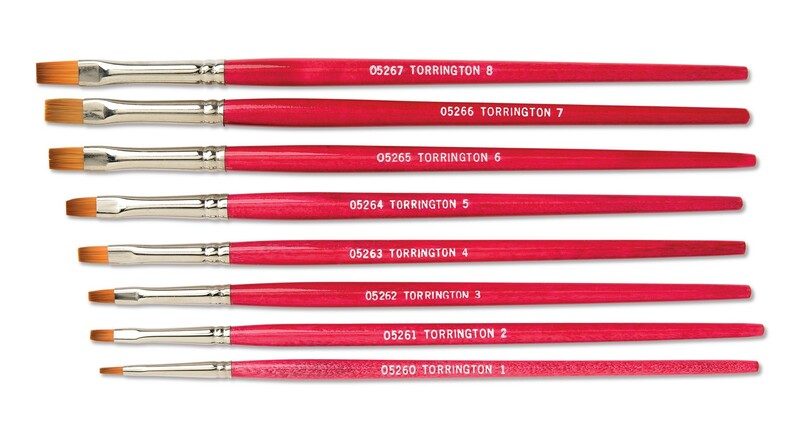 Polished Seamless ferrules and red enameled hardwood artist handle. Provide excellent spring back motion. Great brushes for water color.